Leaves are changing colors, school has started and the pumpkin spiced latte at Starbucks is back; clearly fall is here. This is the perfect time to create some wonderful seasonal crafts with your kids while making lasting memories at the same time. 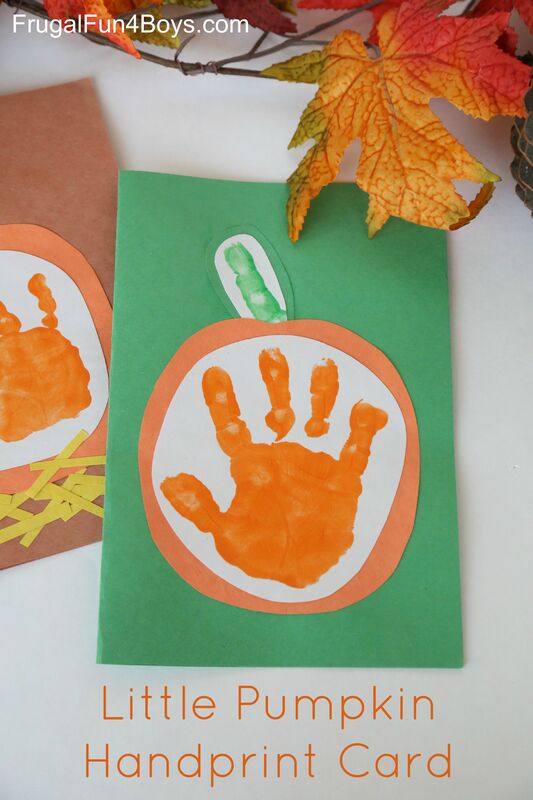 This adorable pumpkin project from Frugal Fun 4 Boys is fun to do and gives you a wonderful keepsake to send to grandparents, aunts, uncles or friends. You can also use the same steps to put the handprint on a canvas giving you a nice fall decoration to hang up in your home. Need something fun for a school party or to give to your kids’ friends? 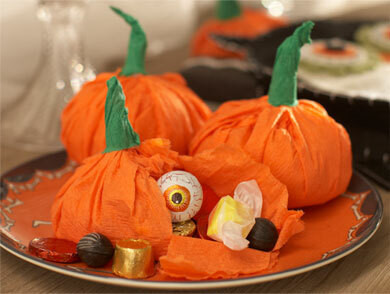 These cute and easy pumpkin candy favors are sure to be a hit. You can find the directions at Pottery Barn Kids. 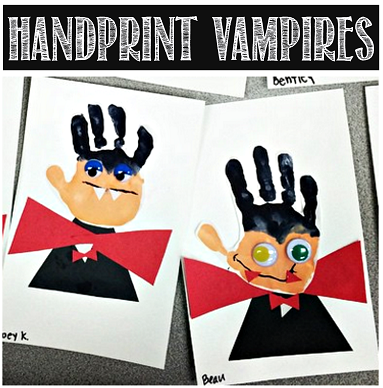 Vampires and Halloween go hand in hand, so why not turn your kids’ handprints into one of these cute monsters made with paint, construction paper and googly eyes. Thanks to Michelle from Crafty Morning for this idea that makes a fun Halloween decoration. Light up your Halloween with these simple DIY lanterns using plastic cups, markers and LED lights. You can line your driveway, use them on your front steps on Halloween night or put them around your home to fill it with a fun holiday glow. Time spent with your children making these cute crafts will create wonderful memories that you will all look back on fondly.